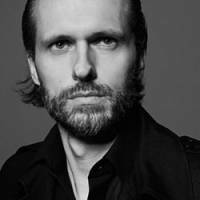 Our events are a happening — part social, part business, part elegance,” says retail revolutionary Alexander Brenninkmeijer. Worn by German supermodel Claudia Schiffer, James Bond actor Daniel Craig, members of Scottish rock group Franz Ferdinand and other high-flying A-list clientele, Brenninkmeijer’s fashion label, Clemens en August, has carved out a niche for itself by staging unique sales “tours” twice a year in selected cities around Europe and the United States. 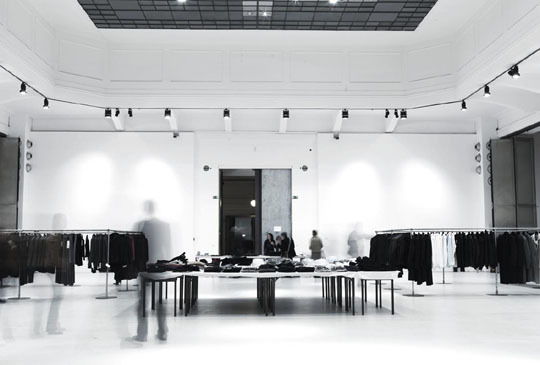 The company applies a “here today, gone tomorrow” setup, choosing galleries and contemporary art museums — this season in London, New York, Tokyo and several German cities — as temporary stores for limited-run sales. To attend this invitation-only event, it’s necessary to first sign up on Clemens en August’s online mailing list. Clemens en August is the latest incarnation in the long and prestigious history of C & A, an international company founded by brothers Clemens and August Brenninkmeijer in the 1840s. The two young men, who came from a small village in what is now northwest Germany, began selling fabrics to rich Dutch farmers across the border, which eventually led to the birth of C & A clothing stores across Europe. It now falls upon the present-day Brenninkmeijer to carry on the family tradition, and the inheritor of the business is taking on the responsibility on his own terms. As the fifth generation to be involved in the rag trade, obviously Brenninkmeijer is no stranger to fashion. Prior to establishing Clemens en August in 2005, he was a store buyer for C & A. 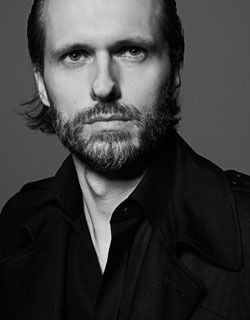 While not a designer per se, Brenninkmeijer is the company’s creative director and oversees the work of the design team. Despite the global economic meltdown, Clemens en August appears to be weathering things well. “We have not been affected by the recession yet,” Brenninkmeijer says, but adds: “We were shocked at what is going on in the high street,” in reference to high-end stores laying off sales staff or, in worst-case scenarios, even closing down. Clemens en August prides itself on the quality of the fabrics — silk cashmere, soft cottons, lightweight wools and luxurious silks — that give the brand a couturelike image. But perhaps the main attraction in buying from the company, aside from this understated elegance, is its affordability. 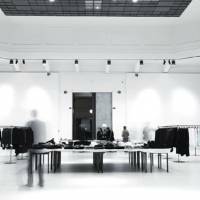 “We offer our items directly to the customer,” Brenninkmeijer says, noting that without any boutiques to maintain or sales staff to pay, overheads are much lower consequently. 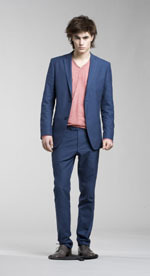 Popular this season are slim shapes: wrap dresses and narrow, tailored jackets for women, and sharp silhouettes for men. Tailored women’s jackets start from a reasonable ¥38,000, skirts from ¥22,000 and silk tops from ¥14,000. 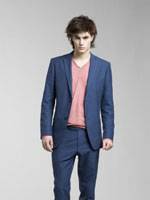 For men, Clemens en August has suits from ¥63,000, neckties from ¥5,500 and jeans from ¥16,000 — a snip of the usual cost of designer wear. While Clemens en August does not specifically make anything for the local market, Brenninkmeijer says the garments on offer will fit a variety of body sizes, both Japanese and foreign. Clemens en August apparel is produced in Austria exclusively, and, despite the economics of mass-produced garments, Brenninkmeijer has no plans to move any production to China or Vietnam, as many European and American design houses have been doing for years. So if you are tired of shopping for new pieces for your wardrobe in overcrowded department stores and intimidated by sales staff in high-end boutiques, or just freaked out by designer prices, then a pile of new Clemens en August clothes for spring/summer 2009 could be just what you’ve been waiting for. For more information, visit www.clemensenaugust.com (in both Japanese and English); click on “events” to register online for sales invitations and details.